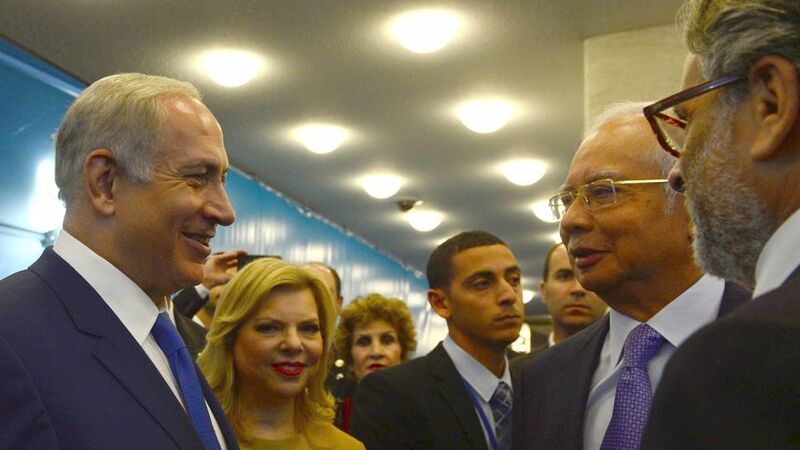 The photo of Nurul with Jacel is betraying the country, then how about Najib with Benjamin? 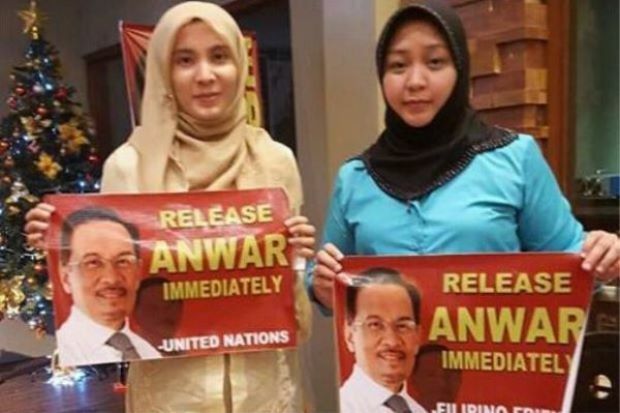 KUALA LUMPUR, Nov 25 (Bernama) — Lembah Pantai MP Nurul Izzah Anwar is to be referred to the Parliament Rights and Privileges Committee over her meeting with the daughter of the former head of the Sulu terrorist group that invaded Sabah in 2013. This was disclosed in a statement today by Minister in the Prime Minister’s Department Datuk Seri Azalina Othman Said. She said the government had decided to put forward a motion under Standing Orders 27(3) and 80 to refer the PKR vice-president to the committee. This would give Nurul Izzah the opportunity to explain herself to the committee in relation to her meeting with Jacel Kiram, the daughter of the former head of the Sulu terrorist group that invaded Lahad Datu, she said. She said the crux of the matter was that Nurul Izzah failed to answer clear questions about her meeting with Jacel. 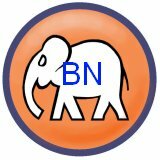 “Having seen the current occurring behavioral misconduct of certain MPs, a code of conduct or, more accurately, a code of ethical conduct, must be a matter of priority as it is to regulate our MPs, especially in meeting foreign groups,” Azalina said. She said that despite Nurul Izzah’s attempts at apologising over the incident, the MP’s conduct as an honourable member of the august house “is unacceptable and contrary to the oath she has taken to solemnly protect the nation and uphold our Constitution, which whereby means she is fully aware of her responsibilities and particularly in the matter of our national sovereignty. “There can be no compromise here and nor will any attempt by any parliamentarian to breach their oath to the august house be tolerated,” she said. Jacel had uploaded four photographs of her meeting with Nurul Izzah on Nov 9 on her Facebook account.